One of the things I love about working on Shoes of Prey is that women love shoes and they're particularly excited about having the opportunity to design their own. Making people happy is very rewarding. Occasionally an opportunity comes along to do something extra for a customer and the following post from Daniel, a customer in Mexico, is one of the most rewarding we've received to date. 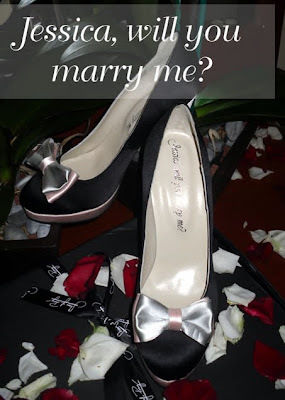 To summarise, Daniel designed a pair of shoes and we printed 'Jessica, will you marry me?' inside them for him so he could propose to his girlfriend! Read the full story on the Shoes of Prey blog.